Toy, standing 11" at the shoulder. CKC & UKC Registered... Prcd-Pra clear pattern A. Brooke is working on her CKC Champion points, currently sitting on 6points .. The name suites this girl. Boy does she ever love the water! 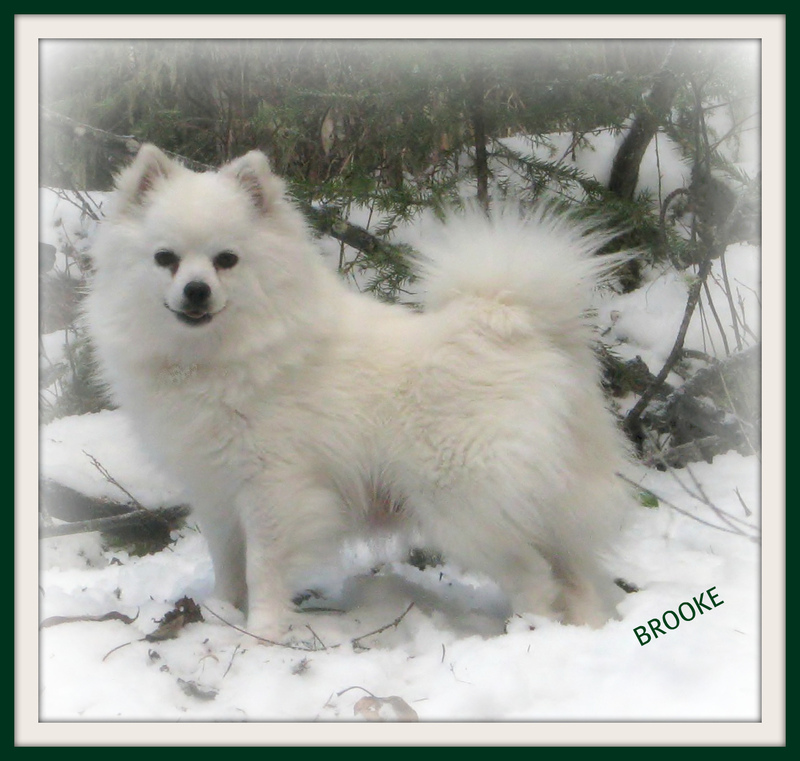 Brooke is very quiet and gentle. She is extremely adventurous, she loves to try and walk over any log that may be accross a creek, or take off straight up the side of a super steep hill! I'm not sure if it's a challenge to her or what she is thinking, but she sure is fun to watch. She's so affectionate & cuddly, she's obidient, and gentle, just everything you would want in a good dog.